Floriday.co.uk - Transformers Invade Universal Studios - Florida Holidays, Disney, Universal, SeaWorld - The best of Orlando! As the opening of Transformers: The Ride 3D draws near Universal have now opened the Transformers gift shop and the Transformers have arrived! 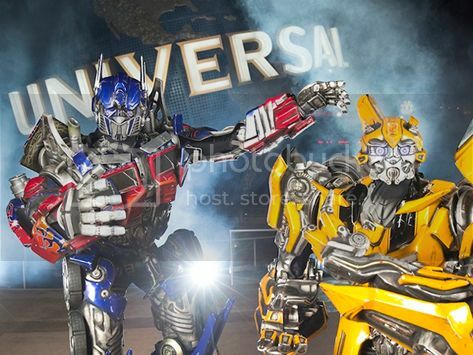 That's right, the Transformers have invaded Universal Orlando allowing the crowds to have meet and greets with larger than life autobots that look absolutely incredible! How awesome is that!? While Universal are keeping tight lipped on an official opening date it surely can't be much longer! Excited? Let us know below!